Portal	Board index Live on The Xperience The Xperience Archive Archive: 2018 Massacre: 2018 Episodes Massacre #27: The #TTC2 Final! Massacre #27: The #TTC2 Final! 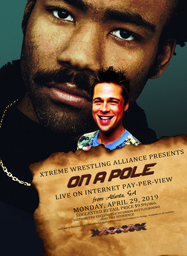 Storied History take on Ace Andrews & Levinator in our main event, while Supreme XWA Champion Emery Layton returns to Massacre to defend against Smith Jones!